Senators have issued an ultimatum to Nairobi governor Mike Sonko to move in with speed and name his Deputy, claiming that he has been in defiance of the rule of law. The Senators declared that should the Nairobi county boss fail to do so, then impeachment proceedings should be instituted to remove him from office. Beatrice Kwamboka noted that for close to a year and a half, Sonko has acted in defiance with Nairobians waiting in vain for their governor to name his deputy. 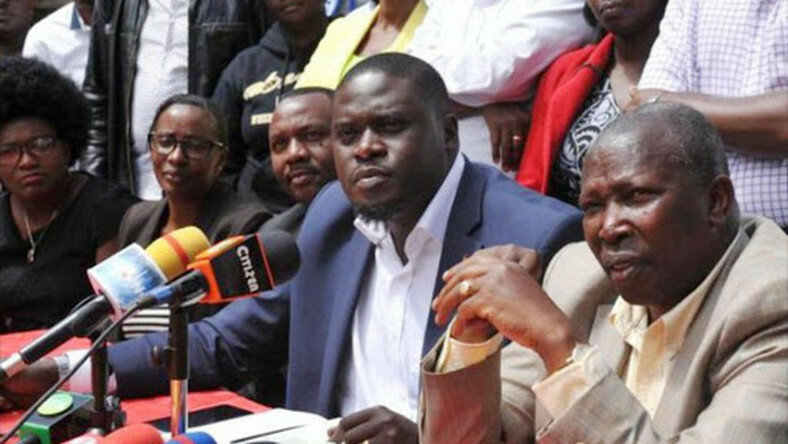 ''The actions of Sonko are disturbing and I beseech the MCAs to invoke their legislative authorities and oversight mandate to pile pressure on Sonko to pick a deputy,'' Kwamboka said. ''If the governor cannot move with speed and appoint a deputy, then invoke your constitutional discretion to impeach him,” she added. The lawmakers who were speaking at a pre-summit youth leadership forum at the Grand Royal Swiss Hotel hit out at Sonko for defying the constitution after failing to name his deputy, more a year since the resignation of his former deputy, Polycarp Igathe. On his part, Sakaja pointed out that the appointment of a Deputy Governor in Nairobi is long overdue and urged Sonko to respect the rule of law. The Nairobi County Senator opined that as things stand right now, any person can go to court and say Nairobi county is not legally structured or constituted. Also present was Chief Administration Secretary for Youth and Gender Affairs Rachael Shabesh. Sonko has in the past been accused of violating the constitution, playing politics and buying time over his delay in appointing Igathe’s successor. His first attempt at naming his deputy was when he nominated Miguna Miguna who rejected the offer after members of the Nairobi MCAs threatened to block his appointment. Afterwards, he fronted Wiper’s Rahab Wangui Ndambuki in what he termed as in “the spirit of the handshake” but that proposal did not materialize.